SAP compra Sybase ~ Business Intelligence y Big Data: ¡Aprende Gratis sobre Analytics! Como en el libro de los 10 Negritos de Agatha Christie, van cayendo poco a poco los tradicionales actores del Business Intelligence/Data Warehouse de los últimos años (llamados pure players), a manos de los grandes fabricantes tecnológicos, que podríamos agrupar en Oracle, IBM, Microsoft y SAP. Ahora ha sido SAP quien contará con su propia Base de Datos, como es Sybase. Parece que la empresa se ha valorado en 5800 millones de dolares. De esta forma SAP da un paso adelante en su estrategia de ampliar mercados y soluciones y competir más de cerca con Oracle. Curiosamente, Sybase había reportado resultados records en el último trimestre. SAP Americas is a subsidiary of SAP AG, the world’s largest business software company and the third-largest software supplier overall. SAP Americas’ corporate headquarters is located in Newtown Square, PA, a suburb of Philadelphia. 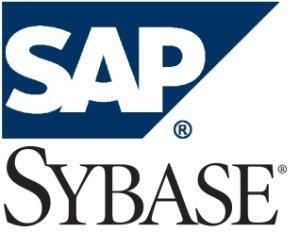 Sybase has a rich 20-year history as a technology leader. Celebrating 20 years of innovation, Sybase has created technology that enables the Unwired Enterprise for our customers and partners by delivering enterprise and mobile infrastructure. a paid option? There are so many options out there that I'm totally overwhelmed .. Any recommendations? Appreciate it! Keep up the good work! You understand, a lot of people are looking round for this information, you can help them greatly. Heya i'm for the first time here. I found this board and I in finding It really helpful & it helped me out much. I hope to present something back and help others such as you aided me. I'll bookmark your blog and check again here frequently. I am quite certain I will learn plenty of new stuff right here! Best of luck for the next! Link exchange is nothing else except it is only placing the other person's weblog link on your page at proper place and other person will also do similar in favor of you. nice written and come with almost all important infos. I would like to look more posts like this . What's up, I read your blog like every week. Your story-telling style is witty, keep doing what you're doing! Hello, i believe that i noticed you visited my website so i got here to go back the prefer? Good web site you have got here.. It's difficult to find high quality writing like yours nowadays. I really appreciate individuals like you! Take care!! Hola! I've been reading your website for a long time now and finally got the courage to go ahead and give you a shout out from Porter Tx! Just wanted to tell you keep up the good job!